From June 4 to 10, bars across Los Angeles will be offering creative takes on the classic Negroni cocktail. The coordinated, worldwide effort—8,340 venues are participating, from Boston to Buenos Aires—is known as Negroni Week, and, in addition to giving you a chance to try some delicious drinks, it’s raised $1.5 million for charity since 2013. 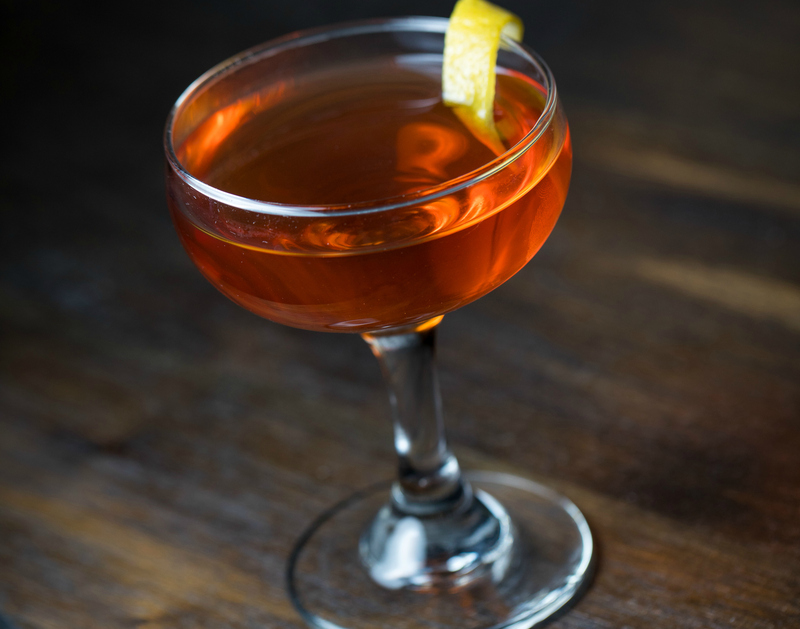 Historically, the humble Negroni–traditionally, just three equal parts of gin, vermouth, and the Italian apéritif Campari—never quite achieved the mainstream recognition with American drinkers of a martini or Manhattan. But, as the classic cocktail revival swept across the country over the 2000s and 2010s, the drink reestablished itself as a staple, and, in particular, developed a reputation as the go-to drink of many bartenders themselves. In 2013, the Portland, Oregon-based drinks magazine Imbibe teamed up with Campari for a benefit campaign based around the iconic red cocktail. Just over 100 bars participated in that first year, donating one dollar for each of the special drinks sold to the fundraiser. But momentum built, particularly with the spread of the #NegroniWeek hashtag on social media, and each subsequent year the project has grown. Each bar that participates can choose what Negroni they will serve, be it a classic version or their own house creation, and they pick from a long list of approved charities, so you each bar you drop by might be donating to a different organization—all the more reason to hop around and try several. There are 84 bars around L.A. that have signed up for Negroni Week, which would require drinking at least 12 cocktails a night to try everything. That might be a little much, so we’ve narrowed it down to a few key selections we suggest you seek out, from a tiki-fied take to an Alpine variation to a Negroni-inspired ice cream treat. 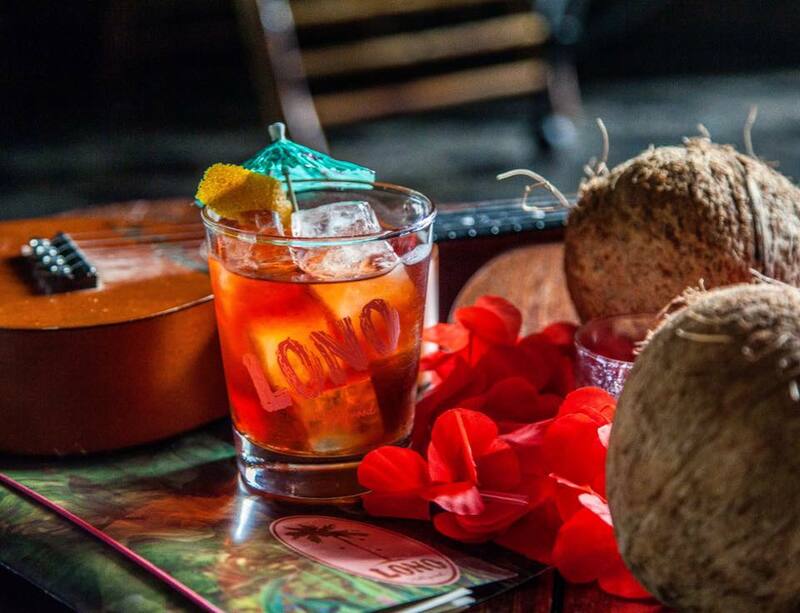 Sophisticated tiki hideaway LONO is bringing tropical, Caribbean flair to their Negroni Week offering. The Santiago y Lucia swaps the traditional gin for coconut washed aged rum, and adds spicy Ancho Reyes liqueur and mole bitters to the Campari and sweet vermouth. Fund raised will support the work of Lamda Legal, which fights for LGBTQ+ civil rights. LONO Hollywood, 6611 Hollywood Blvd., Hollywood. 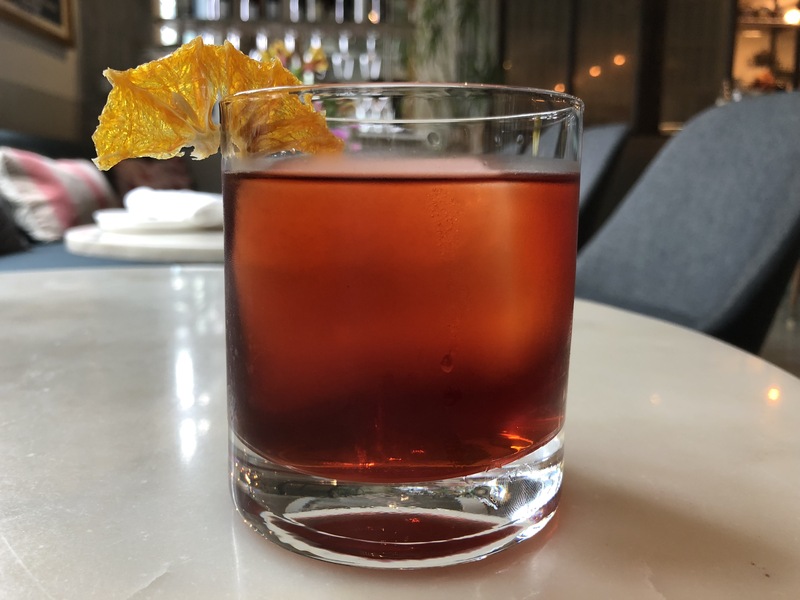 Esters is already a certified member of Surfrider Foundation’s Ocean-Friendly Restaurants program, so it makes sense that they partnered with the org for Negroni Week, too. They’re offering three different versions: The Esters Negroni with barrel-aged Fords gin, Quinquina, and Gran Classico; Coffee & Chili Negroni with St. George Dry Rye Reposado Gin, sweet vermouth, and coffee- and chile-infused Campari; and a White Negroni with Fords, Suze, and lavender-infused Dolin Blac. Esters Wine Shop & Bar, 1314 7th St., Santa Monica. 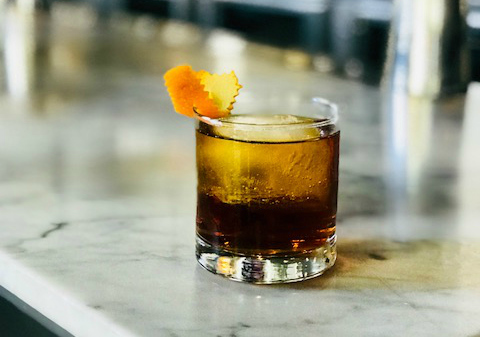 Encino’s Woodley Proper is taking Negroni Week particularly seriously. They’ve devised six different variations, so there’s going to be something for everyone to enjoy. We’re most intrigued by the Negroni Fizz, and the Salty Spice Girl, which uses Old Tom Gin, Cynar 70, La Quintinye Rouge, orange bitters, and salt–but you probably wouldn’t go wrong with any of them. Woodley Proper, 1610 Ventura Blvd., Encino. 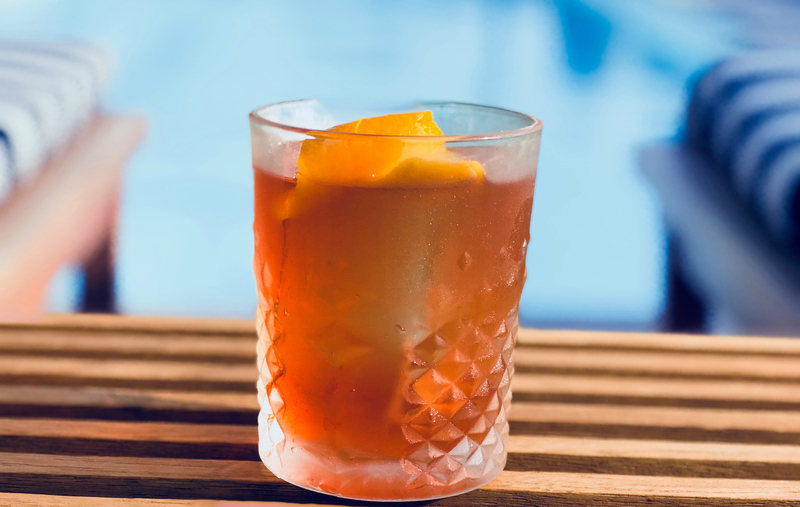 Sip your Negroni poolside at one of L.A.’s most-chill rooftop bars, Filifera. They’re going with a classic take, using Campari, Nolet’s Gin, and Antica Carpano, to raise money for their charity partner, Inspire Artistic Minds, a group that provides scholarships, micro-grants, and educational programming for individuals working in the food and drink industry. Filifera, 1550 N. El Centro Ave., Hollywood. If the Negroni at the Independence looks a little less red than most, it’s because bartender Vincenzo Marianella decided to skip the classic Campari entirely. He swaps it for Amaro Braulio, an oak-aged herbal spirit developed in the Italian Alps around 1875. 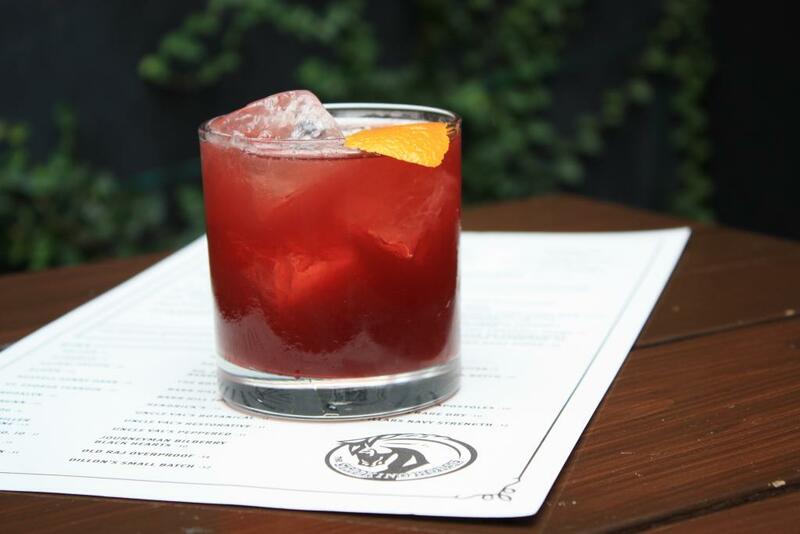 Proceeds from the unusual drink will go to the Surfrider Foundation. The Independence, 205 Broadway, Santa Monica. Sawyer’s riff on the drink uses Campari, vodka, rhubarb bitters, locally crafted Poppy liqueur, and a splash of tart, non-alcoholic Verjus Blanc. They’re partnering with the Arbor Day Foundation, a non-profit dedicated to encouraging Americans to love, plant, and care for trees. Sawyer, 3709 W. Sunset Blvd., Silver Lake. 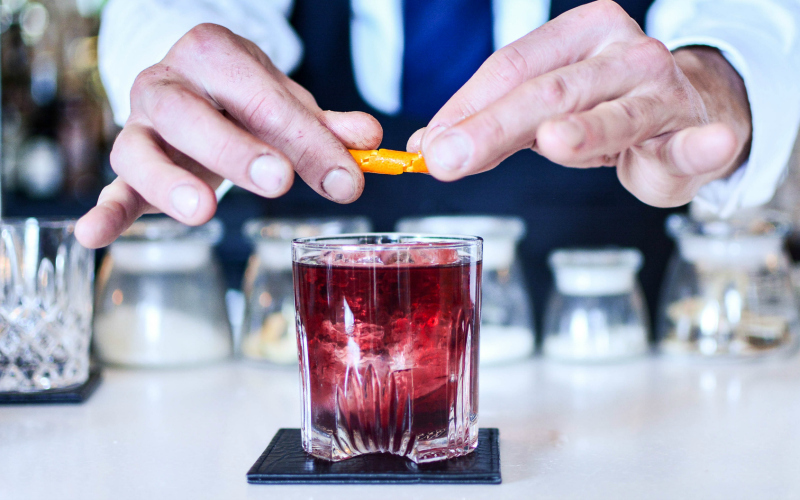 The bitter taste of a Negroni isn’t for everyone, so the bar team at the Stalking Horse created a version that should appeal to traditionalist and those who prefer something a little sweeter. 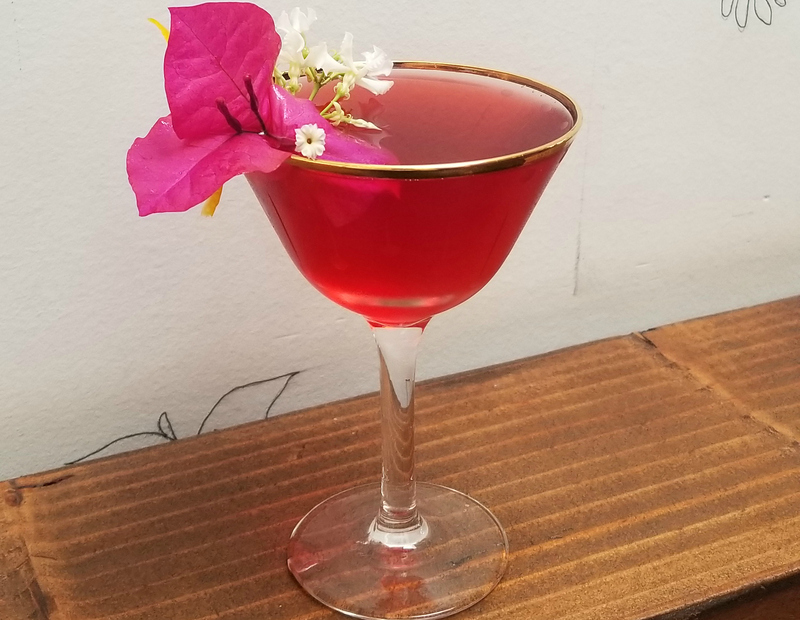 Named the Cassis & Desist, their version uses Lejay Cassis, a French black currant liqueur, Campari, and Bimini Gin, a smaller-batch brand from Maine that has only just recently become available in California. The Stalking Horse’s charity of choice is Little Free Library, a literacy and reading organization that sponsors neighborhood book exchanges around the world. The Stalking Horse, 10543 W. Pico Blvd., West Los Angeles. 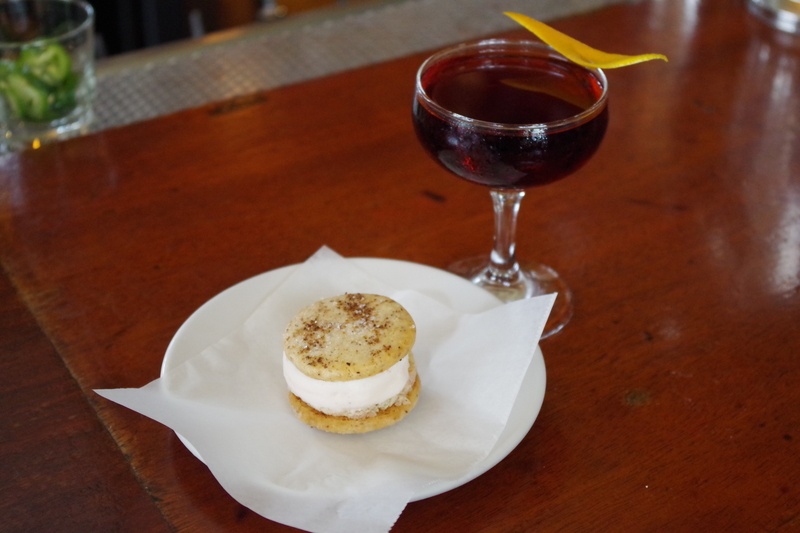 Now you can have your cocktail and eat it too, with Little Dom’s limited-edition Negroni-inspired ice cream sandwich. The treat features a scoop of custom Campari ice cream by San Francisco creamery Humphry Slocombe (soon to open an L.A. outpost) between cookies by pastry chef Ann Kirk. You can pick one up at the Little Dom’s Deli for $6 any time during the day, or enjoy it with a flight of three different Negroni Week cocktails at the main Little Dom’s bar.